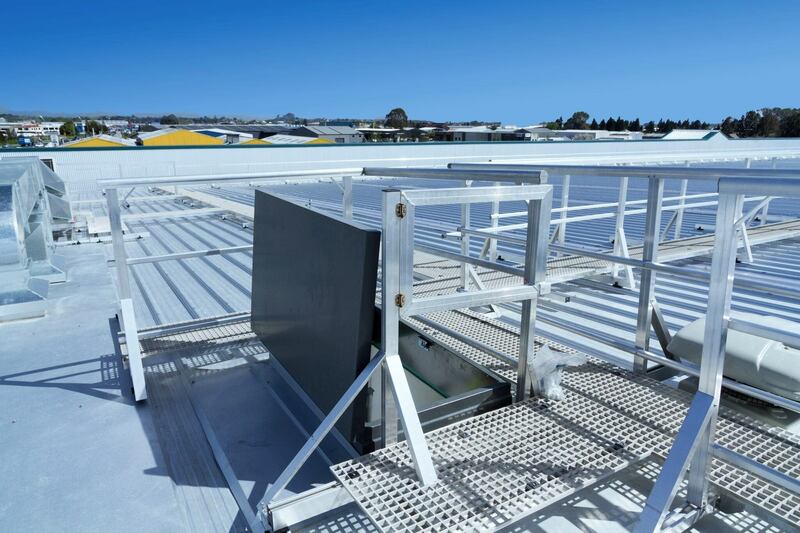 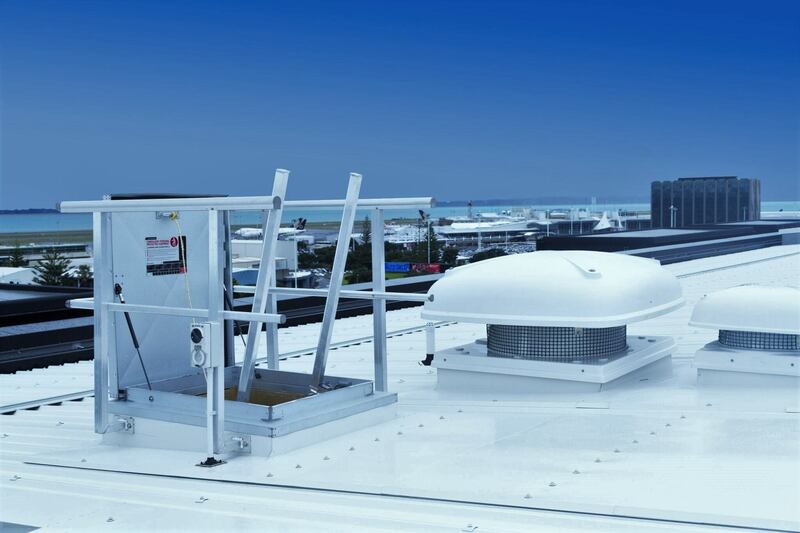 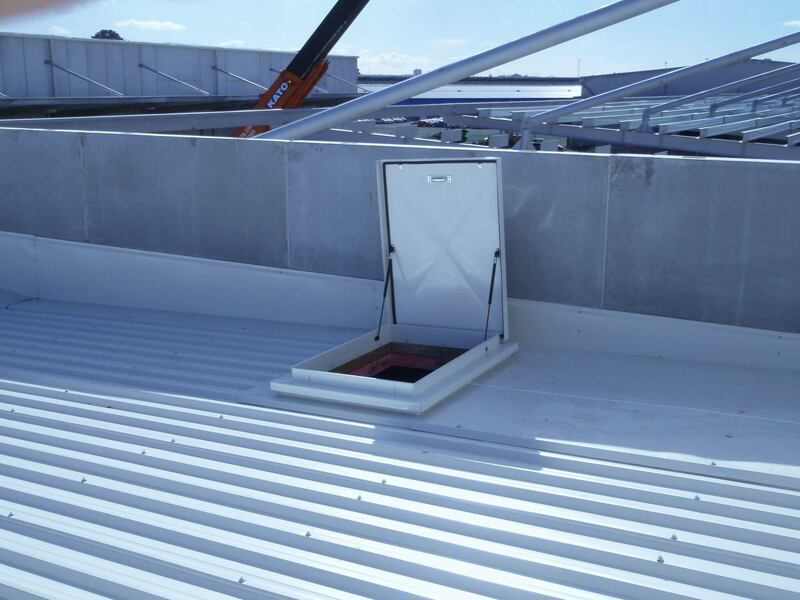 Use our weathertight roof hatches for safe and convenient access to building rooftops. 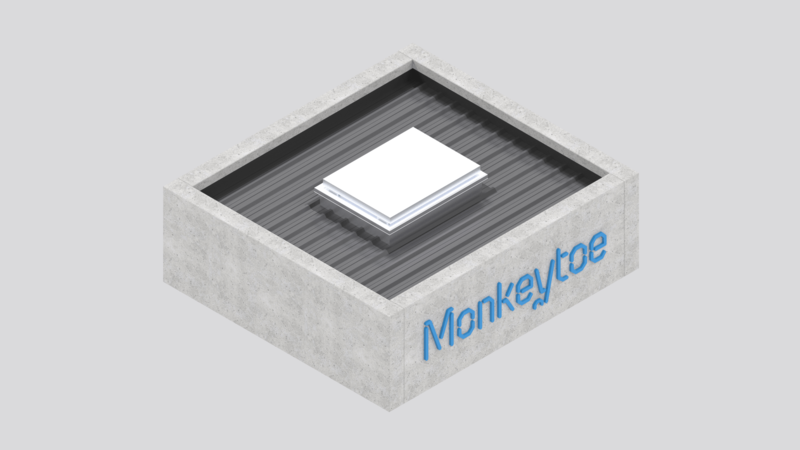 Monkeytoe roof hatches provide sturdy, high-strength internal access to a ceiling or roof. 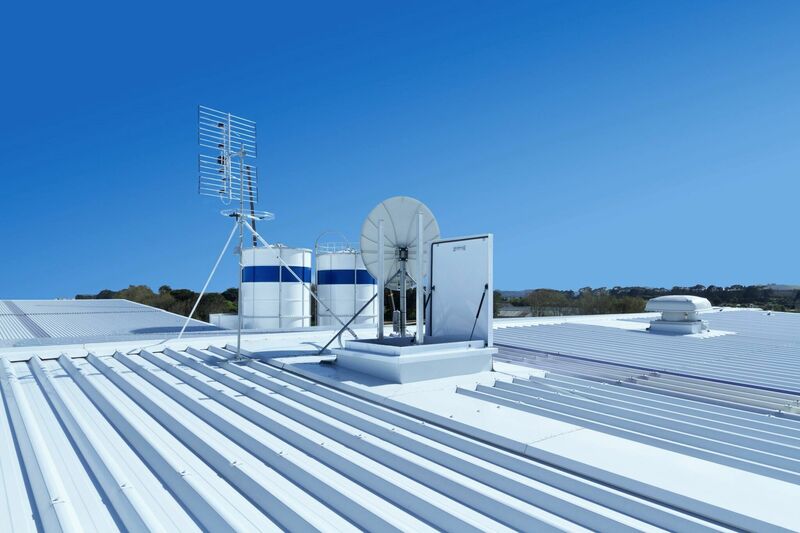 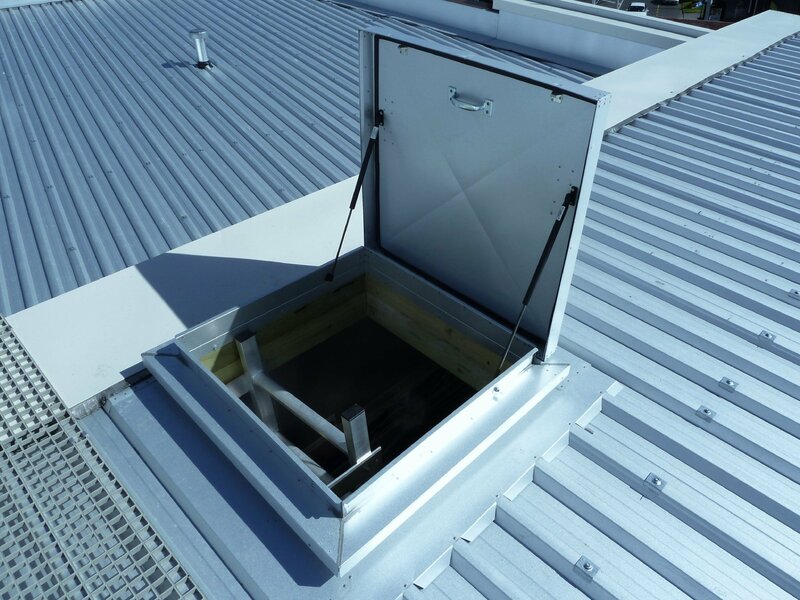 Fully engineered and certified these hatches are safe and secure, easily fitted to almost any roof pitch (0-50 degrees), suitable for all wind zones, stainless steel construction throughout and fully lockable. 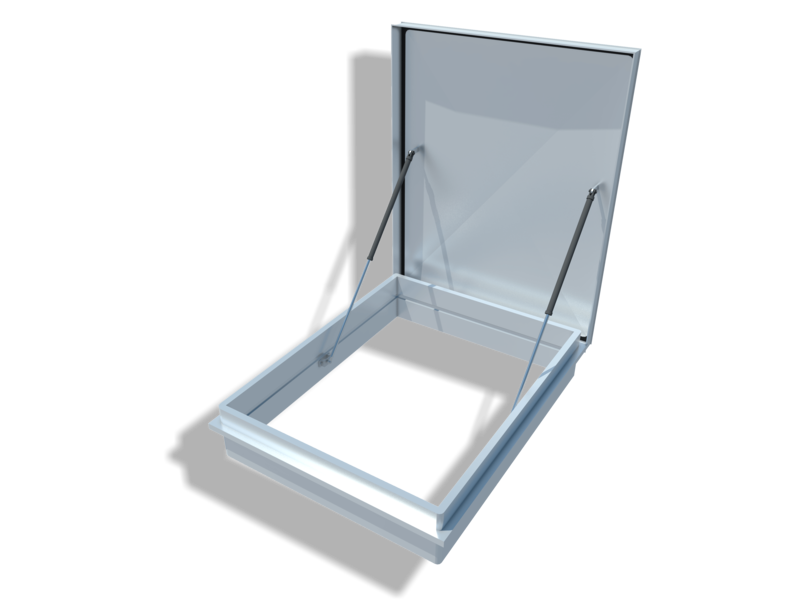 Available in standard and custom sizes, they come complete with a builder-friendly internal fixing system. 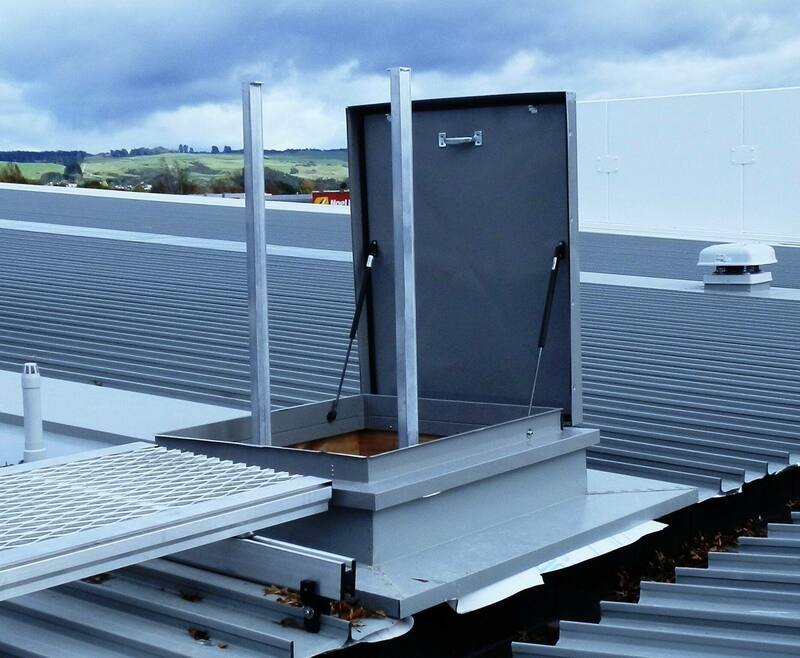 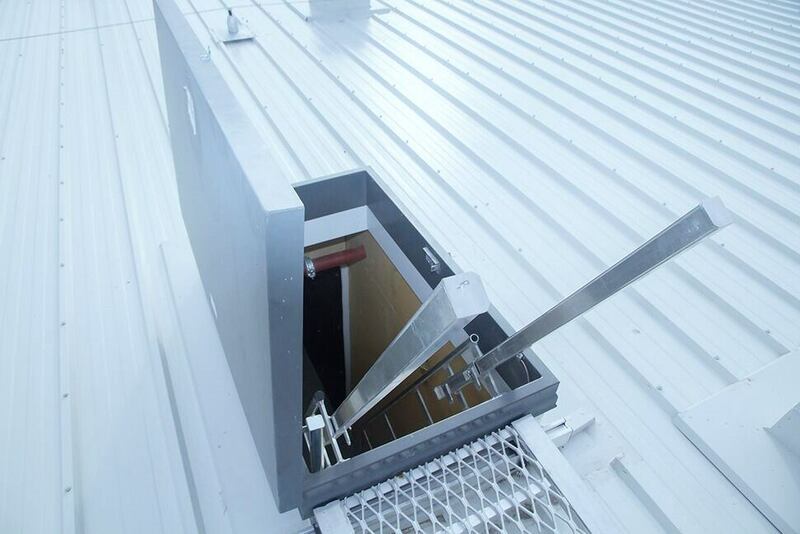 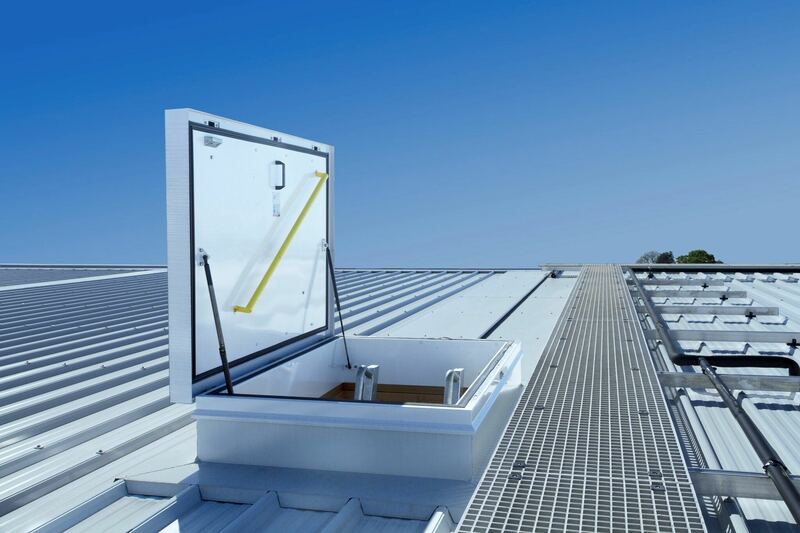 These roof hatches are often teamed with our premium aluminium access ladders. 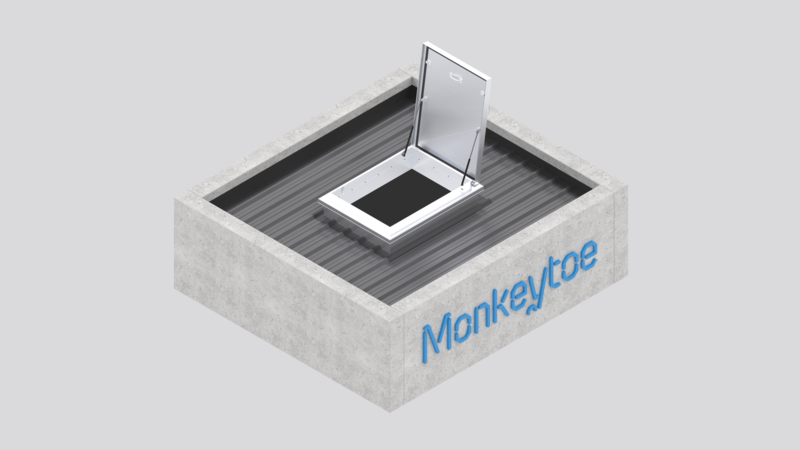 1100 x 800 (custom sizes available) Monkeytoe roof hatches provide a sturdy, high-strength solution where safe access and egress to ceiling or roof is gained internally. 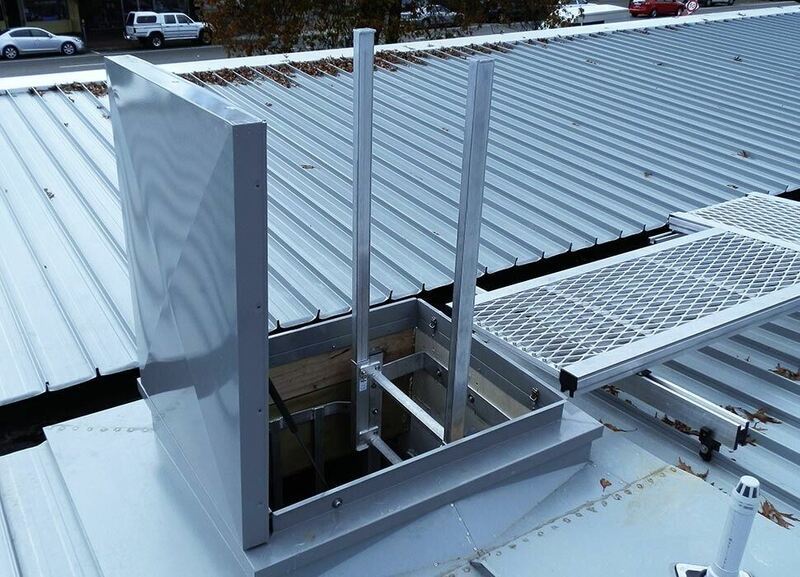 In accordance with the building B1 structure durability code, E2 External Moisture and OHS Codes of Practice/guidelines.